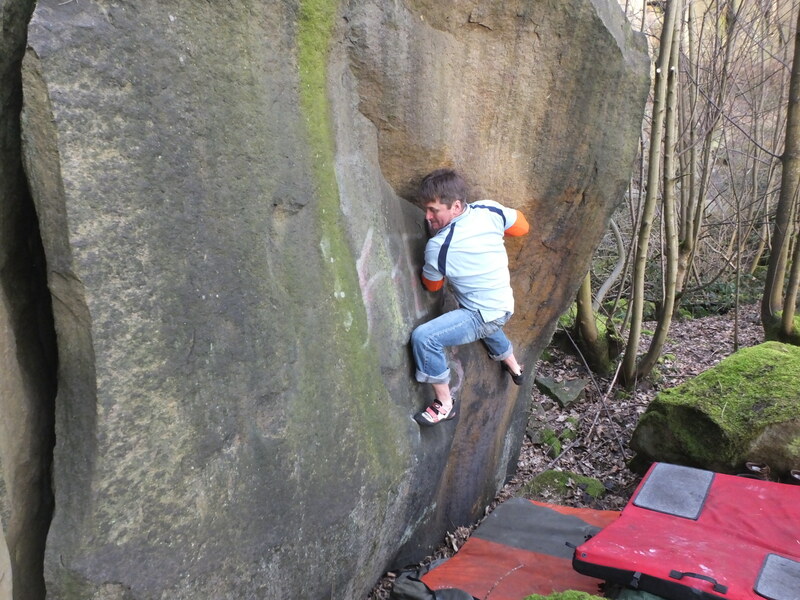 Entering this quarry transports you away from a hub of the industrial revolution and feels like real wild bouldering. Approach as for Baildon Bank – see the YMC guides. The boulder is the lower quarry below the great soaring lines such as Anne of Cleaves. The Pipe Boulder is the obvious block on the left (looking in) – it had a metal pipe under it. Five good problems which combine well with the other quality offerings at Baildon Bank. John Hunt on Fresh Prince of Bail Aire 6b (Photo by Dave Musgrove).